Plus, Chinese special forces, the Sri Lankan election, and capital punishment for foreigners. Friday China links. Damien Ma, writing for the Paulson Institute, provides an overview of China’s energy policy. It’s a lengthy read, but well worth it for anyone wondering how China plans to actually implement its “energy revolution” in the coming years. The take-away: Beijing recognizes the urgency of rethinking its energy usage (and at the same time its general environmental impact), and is moving slowly away from an insistence on the “growth-at-all-costs” mindset. At the same time, however, China remains a developing country with a low per-capita GDP, meaning continued growth (and a corresponding rise in energy use) is a political necessity for Beijing. Ma examines in detail the energy strategies China plans to use to strike a balance between growth and environmental protection. Providing a real-world example of this conundrum, Xinhua reports that stricter air pollution controls were partially responsible for Hebei province’s GDP growth for 2014 coming in 1.5 percentage points below its target. 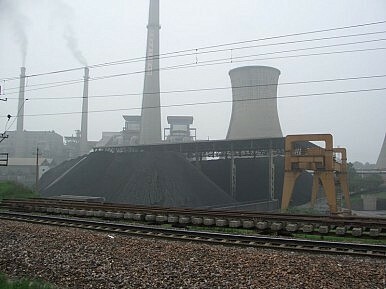 Hebei, which has a high concentration of heavy industry, is a major contributor to air pollution in neighboring Beijing. Hebei’s GDP grew by 6.5 percent in 2014, according to provincial officials, far slower than the 7.7 percent growth rate of 2013. Yet the environmental controls are already having some beneficial effects — Hebei Governor Zhang Qingwei reported a 12 percent reduction in the average density of PM2.5 pollution in 11 cities in the province. That sort of trade-off — less growth, better air — is the dilemma facing China at both the national and local levels. Over at War on the Rocks, long-time China military analyst Dennis Blasko provides a fascinating overview of China’s special forces. If there’s one take-away from the piece, it’s that China’s special operations forces (SOF) are not designed to carry out the same missions as their U.S. counterparts. “[W]ithout the specialized support infrastructure necessary to transport and support SOF units in long-range operations, most SOF units appear to be highly trained light infantry, with capabilities are similar to those found in U.S. Army Ranger units,” Blasko writes. In international news, Sri Lanka’s election Thursday yielded a surprise upset, as incumbent Mahinda Rajapaksa conceded defeat to challenger Maithripala Sirisena. Bloomberg digs into the possible repercussions for China, which enjoyed blossoming ties with Sri Lanka under Rajapaksa’s administration. Sirisena promised during his campaign not to allow Sri Lanka to become overly dependent on China – a possible threat to the Chinese plan to use Sri Lanka as the Indian Ocean base for the Maritime Silk Road. For a broader analysis of the Sri Lankan election and what it means, check out The Diplomat’s coverage by Ankit Panda. Finally, China.org has an interesting run-down of the foreigners who have been executed in China since 2000 – over a dozen. China is currently in the middle of a renewed crackdown on the drug trade, which has already seen one South Korean put to death after being convicted of drug dealing. Most of the foreigners executed in China have been convicted of drug-related offenses, as China.org notes, and most of those involved are from Japan and South Korea. How fast can China develop a “green, low carbon power system”?